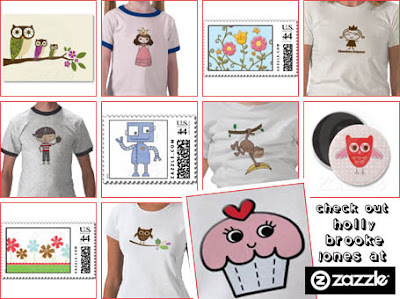 What you are looking at are just some of the sweet designs and gifts that await you at Holly Brooke Jones’ Zazzle store. And what a creatively cute store it is! With everything from cards and stickers to t-shirts and mugs available, it really is a kawaii shoppers dream come true! In fact, I reckon I’m going to head on over there right now and have myself a second look! Anyone care to join me?